Do you want to reboot your system and eliminate bloating, and lose weight? Toxins, enzyme inefficiency and food intolerance can be the culprit. Give your system a rest from digesting processed and toxic foods and nourish your liver and gastrointestinal tract. 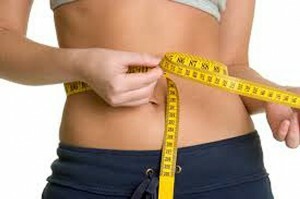 The result will be newfound energy and clarity and a slimmer, trimmer body. Just like you weed, seed, fertilize and till your garden to prepare for planting, you can do the same for your body in order to plant seeds of health and vitality. We hold on to weight to avoid releasing the build up of toxins. Many of the foods you eat have traces of herbicides, pesticides, preservatives, dyes and chemicals and processed ingredients that are not found in nature. They are stored in your fat and released as you lose weight. You may not have sufficient digestive enzymes to handle the load this creates on your body and bloating can result from undigested or partially digested food. Antibiotics found in foods, decreases the healthy bacteria in your gut. These unnatural substances build up over time and contribute to your digestive and detoxification systems not working as efficiently as they should. Some foods are more likely to cause allergies or subtle effects of intolerance such as headaches, muscle aches, swelling, mucous, bloating, fatigue, lack of clarity and more. Eliminating these foods and providing nutrients to nourish the gastrointestinal tract and liver can give your system the rest and rejuvenation it needs to make you feel so much better. Feed your body with nutrients that support growth of healthy bacteria such as fructose oligosaccharides (FOS) and aid liver detoxification such as N-cetyl cysteine, L glutamine, high antioxidant vegetable extract blend,(what is this) fiber and alpha lipoic acid. The best liver detoxifiers are dandelion, milk thistle (silymarin), artichoke leaf, and yellow dock root extract. Add or replace enzymes that help your digestion with supplements containing betaine, pepsin, bromelain, and pancreatin (a combination of amylase, lipase and protease). Eat organic, especially the “dirty dozen”: Apples, bell pepper, celery, cherries, grapes, lettuce, nectarines, peaches, pear, potato, spinach, and strawberries. There are many products on the market that contain these ingredients in powders and capsules, however the quality of the supplements can make a difference. A body cleanse does not mean eliciting diarrhea and it does not mean fasting. Cleansing means eating healthy, toxin and preservative free foods, decreasing irritants, enhancing elimination and supporting your body with nutrients to heal. But, be sure to choose high quality supplements that support both the liver and gastrointestinal tract and consult with your healthcare provider regarding the products that are most appropriate for you.